Hours of moving footage come to us via CRT, plasma and LED television screen. Living rooms and kitchens, bedrooms and bars are kitted out to satisfy the curiosity of those who pass through. This visual overload is never more apparent than at times of world tragedy when television news broadcasts the same images over and over again. The footage pervades every channel and gradually loses any meaning it might have had. 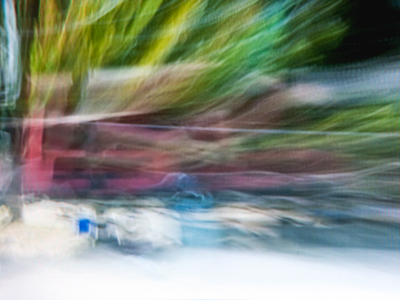 In Breaking News long exposures turn overused and ‘iconic’ moving footage into brightly coloured abstract stills. The title for each image is taken from the words spoken by the reporter during the exposure of the photograph.